In its five seasons of existence, The Wick Theatre has gone to the well of composer-lyricist Jerry Herman and his audience-friendly shows four times, but with mixed results. Its current production, the musical revue Jerry’s Girls, is aided considerably by the rewriting and restructuring from its director, Lee Roy Reams, only to be let down by its ostensible box office star, Susan Anton. 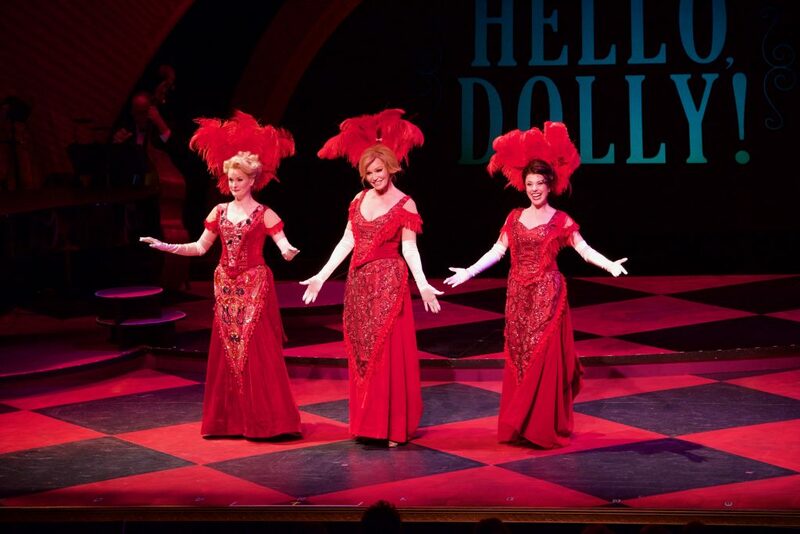 The show was originally conceived for three female vocalists, singing numbers from Herman’s Broadway output but with no discernible through line. Reams has turned it into a showcase for four women and a half-dozen male back-up singers, strutting through the Herman songbook in chronological order, with new biographical narration. Reams is a longtime collaborator and pal of Herman’s, who gave him carte blanche to rethink the revue, just as he sanctioned Reams to play the title role in Hello, Dolly! at the Wick a few seasons ago. Very versed in the Herman canon, Reams has filled the show with familiar numbers from his most successful shows – Hello, Dolly!, Mame and La Cage aux Folles – plus less well-known selections from his commercial failures – Dear World, The Grand Tour and Mack & Mabel. As the revue explains, Herman enjoyed enormous early success in the 1960s, only to stub his toe in the 1970s as he experimented with darker material. But just when he was convinced that his optimistic, anthem-heavy style had fallen out of favor, Herman’s fortunes snapped back with one of his biggest hits, 1983’s La Cage. While that is the most recent new show by Herman to land on Broadway, he remains a presence there thanks to the current hot-ticket revival of Dolly! Aided by the sprightly choreography of Emily Tarallo and an uncredited staging assist from Norb Joerder, this Jerry’s Girls is a fairly satisfying entertainment. It is marred mainly by Anton, who moves precariously, sings erratically and attempts a few celebrity impersonations during the La Cage sequence that are underwhelming. Fortunately, Reams also brought in a diminutive dynamo named Klea Blackhurst, an amusing visual contrast to the statuesque Anton and a standout performer in the mold of Ethel Merman, a stage icon that she previously celebrated in a one-woman show. 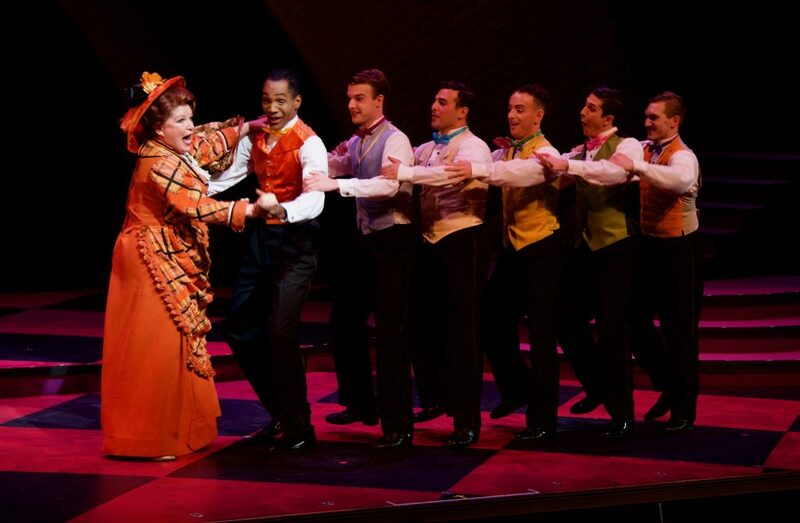 Brassy and booming, she sings two cut numbers from Hello, Dolly! – “Love Look in My Window” and “World Take Me Back” – that Herman wrote for Merman, the original choice to play the Yonkers matchmaker, and reinserted when the Merm eventually assumed the role late in its Broadway run. Blackhurst’s delivery of La Cage’s “I Am What I Am” is fierce with determination, but she is also not afraid of looking foolish as she demonstrates in “We Need a Little Christmas,” becoming a human holiday tree. Filling out the central foursome are Julie Kavanagh and Lauren Sprague, who handle their spotlight moments well enough, but are a quart low on personality. Among the lesser known numbers that deserve wider exposure are a lovely faux-Jacques Brel tune, “I Don’t Want to Know” from Dear World, and a statement of survival, “I’ll Be Here Tomorrow” from The Grand Tour, which the show deems unintended autobiography by Herman. With only female principals, Reams warps and damages one of Herman’s great anti-romantic songs, “I Won’t Send Roses” from Mack & Mabel, with a gender rewrite. And he turns Mame’s stellar 11 o’clock number, “If He Walked Into My Life,” into a generic torch song with unnecessary lyric adjustments. Musical director James Followell heads a three-piece combo whose sound is rather thin, but at least The Wick went against its usual recorded music for live accompaniment. This Jerry’s Girls in uneven to say the least, but the talent and heart of Jerry Herman still shines through. JERRY’S GIRLS, The Wick Theatre, 7901 N. Federal Highway, Boca Raton. Through Sunday, May 13. $80-$85. 561-995-2333.